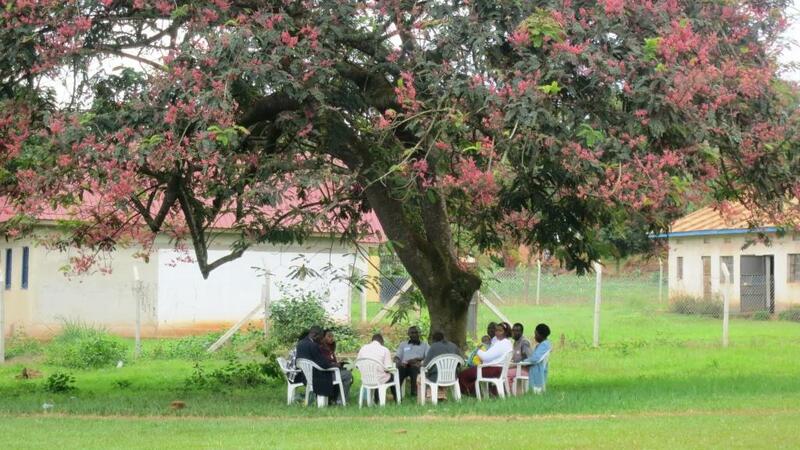 Canon John Musaasizi and Revd Jethro Ssebulime are the Rooted in Jesus Coordinators in the Diocese of Mityana, Uganda, where two followup Rooted in Jesus conferences were held in October 2017. John is on fire with passion for Jesus, and he is unusual in that he not only dedicates himself to ministry but also takes joy in writing the stories of those he meets. This is John’s account of a recent visit to a young man named Fred. “Jethro and I have had a thrilling experience of following up Fred Kiberu, the current leader of Kitotolo Rooted in Jesus group. Fred has an exciting church experience, young as he is. He started serving the Lord as in the church context during his early childhood. The Lord has in turn sustained him and blessed him in various ways including giving him wisdom to be able to do His work wisely. “In the most recent Rooted in Jesus Conference, Fred emerged as one of the best translators. His translation carried all the meaning the speakers intended to communicate. “During the conference period, Fred was supposed to be revising intensely since he had to sit for his final “A” Level Examinations. But he did what he was supposed to do at the conference without examination anxiety. Later after the Conference he sat for National “A” Level Examinations and he looks forward to joining university next year. 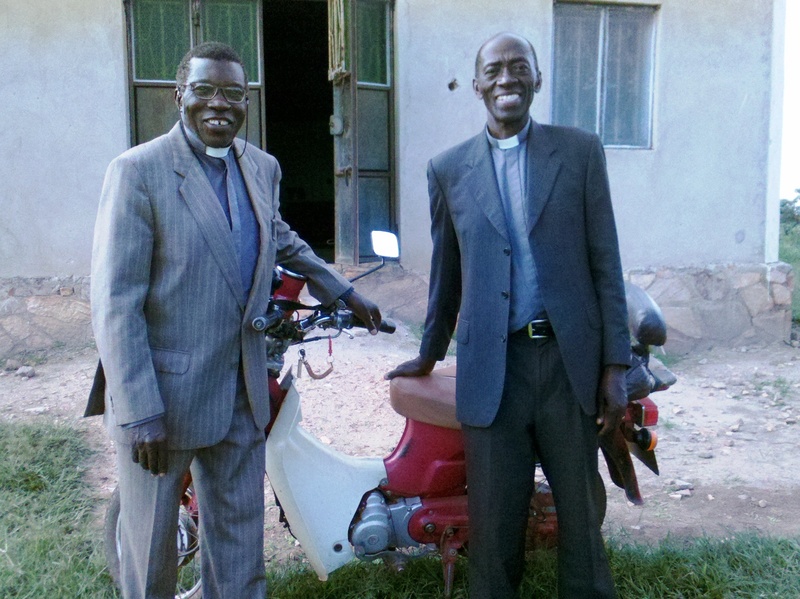 “As we were leaving Kitotolo Church, Fred asked us for a lift and we gladly offered it. After reaching his home, we realized that he walks a very long distance to get to Kitotolo Church. But he had no choice because the teacher who taught him at his early childhood, freely offered him room where he could stay after having known the ups and downs of Fred’s life and his biological family experience. “Before his mother divorced, she had to distribute her eight children including Fred among relatives who were also helpless almost in every way. “In spite of that, Fred is really a committed young man not only to the Lordship of Jesus, but also to the ministry the Lord has entrusted to him. He started serving in church when he was ten years old. It was in church that he found people with whom he would hold hands with after his father abandoned his mother, brothers and sisters. “Later in his life, but still at an early age, Fred resolved to rent a one roomed house where he would give his maximized attention to his studies, as well as to his church responsibilities. During this time some members of his church at Kitotolo pledged to give Fred a helping hand. “Jethro and I have been enormously blessed by the Lord as we took upon ourselves the responsibility of combining the church service with Discipleship training. It was worked! Everybody contributed in various ways. Jethro raised questions related to what had transpired and the results were encouraging. There was also time and space to accommodate group participation both inside and outside the church building. We loved it. The openness of the congregation as they answered and raised relevant matters was encouraging. We regretted the years where congregations had been less than football spectators. Football spectators can be moved by uncontrollable bodily reflex actions to kick their neighbors as they watch the ball being kicked in the play ground. “With Rooted in Jesus, the Lord is calling us to be in the very center of discipleship making process, giving and receiving, as the Holy Spirit perfectly guides our way of growth into Christ likeness. 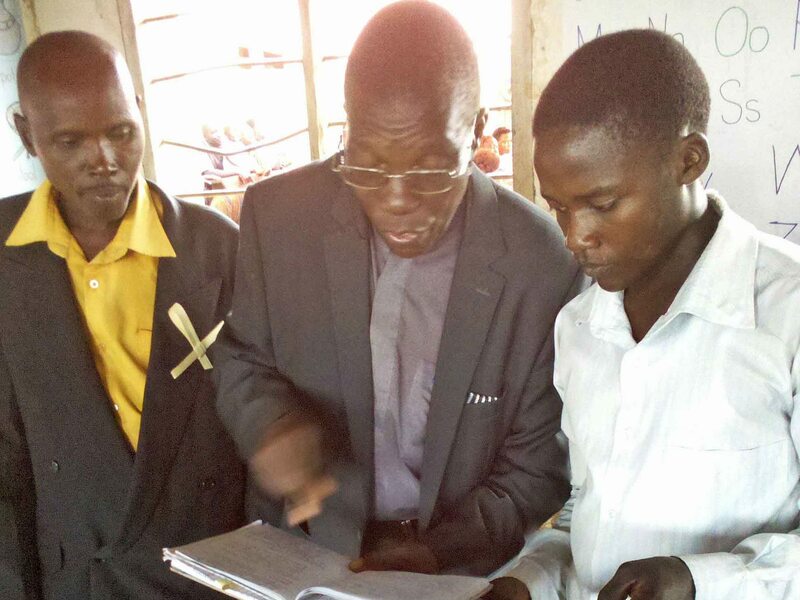 John and Jethro are the Rooted in Jesus Coordinators in the Diocese of Mityana, Uganda, where two followup Rooted in Jesus conferences were held in October 2017. Rooted in Jesus is directed by Revd Dr Alison Morgan, and published and supported by the Mathetes Trust. To find out more visit our website. This entry was posted in Uncategorized on December 23, 2017 by rootedinjesus.